DotCloud, the platform as a service that won our Structure 2011 Launchpad competition, said Wednesday that it will support three new data stores as part of its multi-language platform. The company will add MySQL, Redis and MongoDB support. 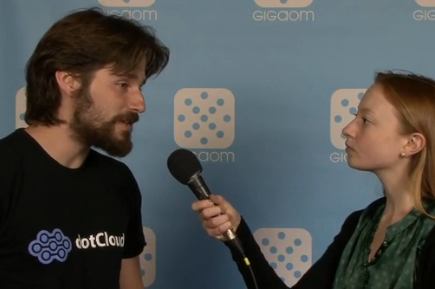 DotCloud Founder and CEO Solomon Hykes explained that more data stores will come in time, but for now these are popular choices among developers. MySQL is the core of the LAMP stack, Redis is a”Swiss Army knife tool that can be used in all kinds of ways,” and MongoDB has attained considerable maturity as a NoSQL platform of choice. DotCloud, like many other platforms including Heroku, VMware’s Cloud Foundry and Microsoft’s Azure, supports multiple languages in an attempt to woo both enterprise and independent developers. DotCloud also adds a touch of IaaS to the mix by letting developers lift the covers to monitor performance, track changes and perform other operational tasks. It has raised $10 million in venture capital since its founding in 2010.